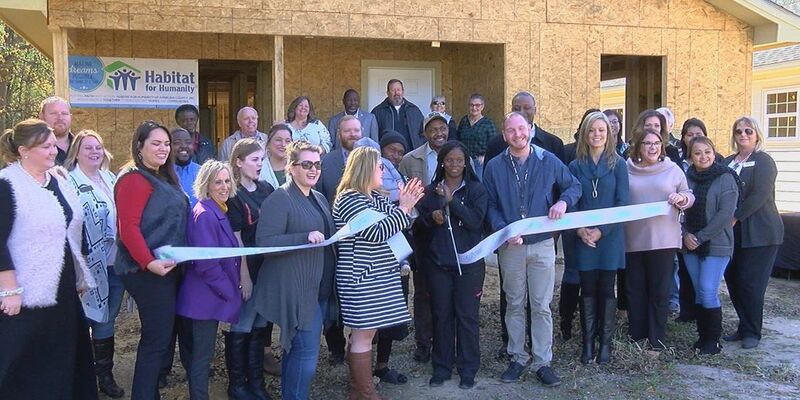 LUFKIN, TX (KTRE) - Habitat for Humanity of Angelina County held a ribbon cutting for the Ross family. They received only the second home Habitat for Humanity has built, which includes three bedrooms, two bathrooms, a kitchen, living and dining room and laundry room. Many were there to take part in the tradition of Signing a Stud, writing heartfelt messages on the framework of the home. Homeowner Jerderra Scott says she is thankful to everyone who made this possible. "Well it’s a blessing and they are a blessing to families. Just to be able to help them with a house you know they never could get,” she said. Habitat is always in need of volunteers to help with construction. If interested in making a difference in our community through volunteering, you may call the Habitat for Humanity office at 936-632-8445, or visit their website.